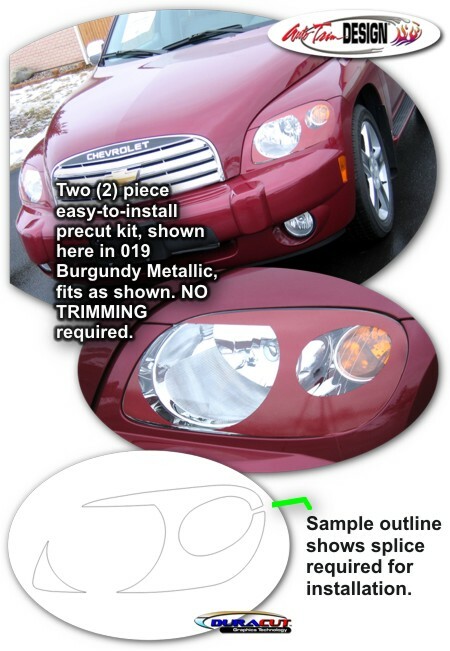 Give your '06-Current Chevrolet HHR a unique look with these precut Headlight Enhancement decals (no trimming required). Kit comes with two (2) decals (one for each side). Available in a wide variety of colors. Due to the curved nature of the HHR headlight surface, installation of these decals requires a slight splice/overlap at the sides as shown in the image.